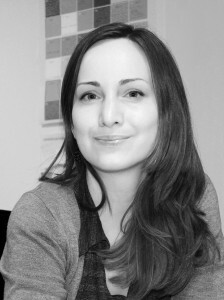 Ivana began her tourism studies in her native Czech Republic, completing a degree in Travel and Tourism Management in 2007. After spending her summers working abroad, twice in holiday resorts in Maine, USA, she moved to the Shetland Islands in Scotland to work in the tourism and hospitality sector. After a year building on her industry experience, Ivana then returned to the world of academia to study for an MSc in International Tourism Management at Edinburgh Napier University. As part of her dissertation research Ivana undertook a qualitative study of heritage tourism and public policy in the Shetland Islands. And it was this research that formed the basis of an article she co-authored for the International Journal of Culture, Tourism and Hospitality Research – an accreditation that Ivana cites as her biggest academic achievement to date. On completing her MSc in 2008 Ivana began working for a top Scottish tourist attraction and corporate events venue. “I was actively engaged in planning and delivering corporate events. This offered an excellent insight into marketing and event-related issues, and the principles behind successful marketing and branding,” she says. Since January this year Ivana has been working as a Research Assistant at Edinburgh Napier’s School of Marketing, Tourism and Languages, and has been involved in a qualitative study of volunteerism in tourism and events.